Mercedes-Benz S-Class Running Costs, MPG, Economy, Reliability, Safety | What Car? Buying in to the S-Class club isn’t cheap. Even the cheapest – and most popular – S350d AMG Line is pricey. And, while the cheapest Range Rover is more expensive still, its closest saloon rival – the 7 Series 730d – will set you back quite a bit less. Keeping an eye on the longer term ownership costs a 3.0 diesel Range Rover will hold on to more of its value over three years than the S350d and, to a lesser extent, so will a 730d. Both rivals will cost less to service than the S350d, too. The official combined fuel economy figure for the S350d is up to 44.1mpg in both standard and long wheelbase forms; CO2 emissions are 158g/km. It’s worth noting that the 730d betters both sets of stats by a reasonable margin. The six-cylinder petrol is a different story. 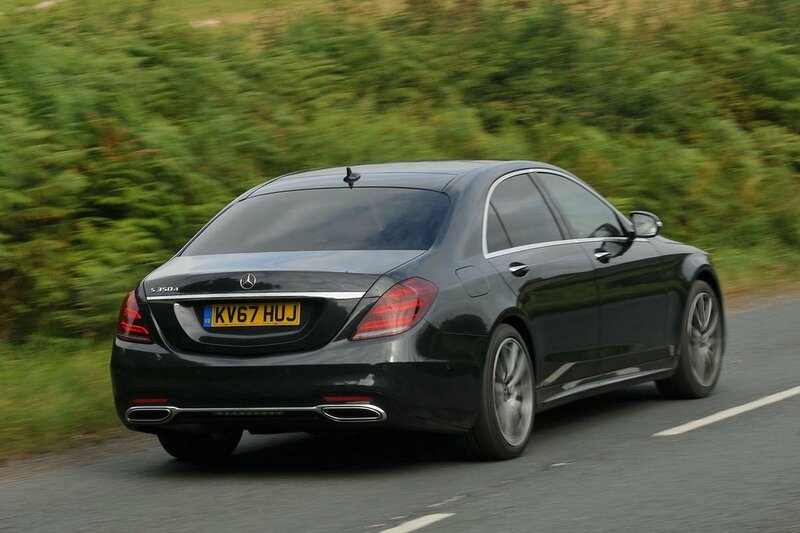 Thanks to its mild-hybrid tech, the S500 isn’t as far behind the diesel as you might think, with the claimed 36.2mpg and 169g/km of CO2 also representing quite an improvement over the equivalent 7 Series 750i. For the best company car costs or the cheapest motoring if you drive mainly short journeys in town, choose the plug-in hybrid S560e. On a full charge, its battery has enough in reserve to provide approximately 20 real-world miles of relatively cheap electric-only range. And with CO2 emissions of just 57g/km, it's a company-car-tax beater. But bear in mind that if you do lots of motorway miles, you'll use up the battery quickly and be left with just the petrol engine. This is a completely different unit to that in the S500 and so doesn't have all the clever mild hybrid tech, so don't expect its long-distance cruising fuel economy to be as good. If you’re thinking about the higher-end models, especially the AMG S63 and S65, then be prepared for some big fuel bills and costs all-round. Because the entry-level AMG Line comes so well equipped we’d stick with that rather than shelling out more cash. You get keyless start and entry, cruise control, 19in alloy wheels, front and rear parking sensors and rear-view camera, metallic paint, adaptive LED headlights, leather seats, heated electric front seats with lumbar adjustment and memory recall, Comand Online navigation with twin 12.3in displays, Apple CarPlay and Android Auto and wireless phone charging. You can option a couple of packs to boost the goody count. Firstly the Premium pack includes 360-degree camera, soft-close doors, ventilated front seats and Nappa leather seat trim. 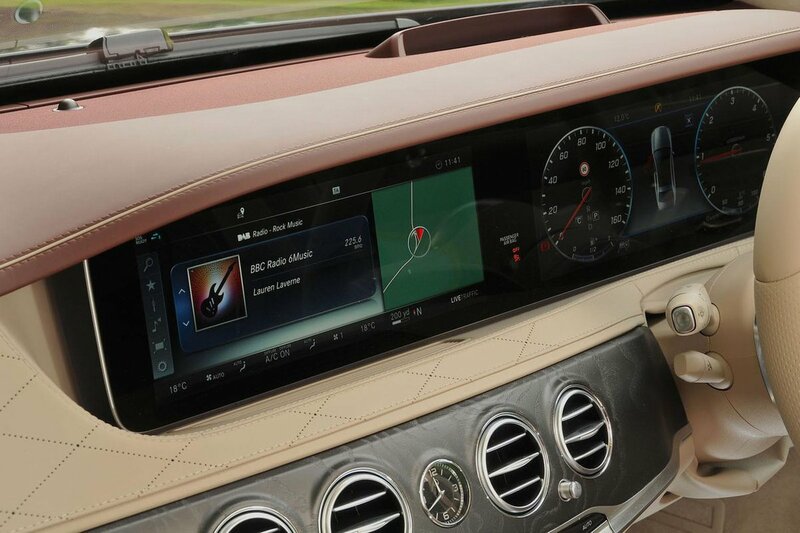 Meanwhile, the Premium Plus pack adds massaging seats, a fragrance system and Burmester 590w stereo on top. We’d certainly consider adding the Driving Assistance Plus Package, which adds adaptive cruise control, steering assist and a host of extra safety and convenience aids. In our 2018 reliability survey Mercedes placed a lowly 26th out of 31 manufacturers assessed, some way behind BMW and Audi. Unfortunately, we don’t have any data for the S-Class as a standalone model. Every S-Class comes with a three-year/unlimited-mileage warranty and breakdown cover. The S-Class gets a vast quantity of state-of-the-art safety equipment as standard, including a Pre-Safe system that uses the seatbelts to pull occupants into the best possible position if it detects that a crash is imminent, and automatic emergency braking to hopefully prevent the crash happening. There are plenty of safety-related options, too. Buyers can order everything from a night vision system, to a system that allows the S-Class to automatically follow the car in front in traffic jams – you don’t have to brake, accelerate, steer or even change lanes yourself, because the car can do it all. From mid 2017 this was updated to include the ability to read the road ahead using GPS data and slow down for bends, or react to changing speed limits. Few rivals can compete with the car’s level of standard safety equipment, or the array of options available for those buyers with very deep pockets. The only blip is Euro NCAP hasn’t tested the S-Class. That means we’re not able to give it our five-star rating. According to Thatcham Research, a security firm, the S-Class scored the maximum five stars for its resistance to theft, and four stars for its resistance to being broken into.